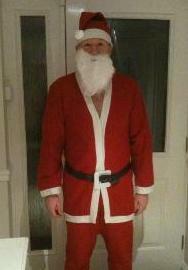 December – GMC has sponsored (GBP 100) Jamie Hunt, who has participated in the Santa Fun Run to raise money for the Callum Branch Trust. Football mad Callum Branch, 6, who is a wheelchair bound. His mum is applying for donation to fund a GBP 40,000 operation to enable her disabled son to walk. December – Prem Goyal attended the Butterfly 10th Anniversary Dinner in aid of Real Action and GMC donated GBP 100. Real Action is an educational charity based in Queen’s Park that runs the excellent free Butterfly School on Saturdays for local children as well as English classes for adults. Learn more about Real Action from their website. November – Prem Goyal attended a charity dinner at the Middle Temple on 18th November in aid of the Attlee Foundation and GMC donated GBP 200. The Attlee Foundation is an amazing charity based in London, Tower Hamlets doing some exciting and excellent work with communities in need, particularly young people. Learn more about Attlee Foundation from their website. September – GMC sponsored GMC team (Catherine Ching, Monika Miksakova, and Qian Zhang) who participated in the Maggie’s 20 miles Night Hike on 18th September, 2009. The money raised by the GMC team will be donated to the Maggie’s Caring Centre which aims to help more people who are affected by cancer. Learn more about Maggie’s Caring Centre from their website. August – GMC and Prem Goyal donated GBP 100 to Tracey Fletcher who runs for Attlee Foundation – an amazing charity based in London, Tower hamlets doing some exciting and excellent work with communities in need, particularly young people. Funding is needed for their new project – Attlee Means Business. Learn more about Attlee Foundation from their website. 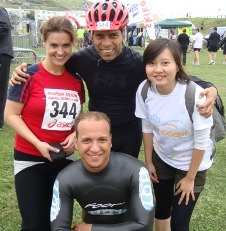 August – GMC Triathlon team completed the South Coast Triathlon in Seaford. The race covers a 1500m sea swim by Mouhcine Bourous, 40km bike ride by Prem Goyal and a 10km run by Monika Miksakova. 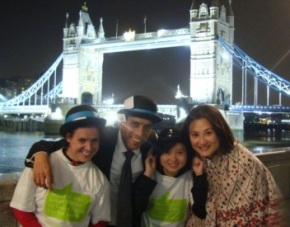 GMC team has raised GBP 750 for the Rainbow Children’s Hospice. The charity provides symptom management, palliative and end-of life care for children and young people with life-limiting and life-threatening conditions. Learn more about the Rainbows Children’s Hospice from their website. 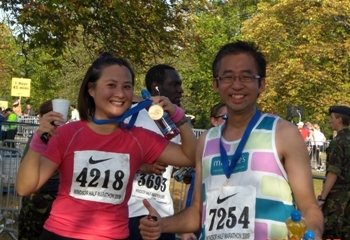 July – GMC and Prem Goyal donated GBP 200 to Catherine and Jeffrey who run in the Windsor Half marathon on 27th Sept 2009 to raise money for the Maggie’s Cancer Care Centre. Maggie’s Centres help people adjust to living with cancer. Its pioneering support programme has been developed for patients, their carers, family and friends. Each centre is located close to an NHS hospital and they have been designed carefully and imaginatively to make sure people feel at home. Learn more about Maggie’s Cancer Care Centre from their website. April – GMC donated GBP 150 to Charlie Wayling, Ben Read and John Mansfield who participated in the Flora London Marathon 2009 to raise funds for Attlee Foundation. The Charity was set up to commemorate Clement Attlee’s life, work and achievements through piloting projects that benefit the people he cared most about – those disadvantaged by poverty, disability or lack of opportunity. Visit The Attlee Foundation website for more information. March – Prem Goyal donated GBP 600 by getting matched giving through The Big Give and Deutsche Bank to Enable Ethiopia Charity. The charity helps to break the poverty cycle in Ethiopia by financing community projects to improve health, infrastructure, agriculture and education so that communities become self sufficient. For more information about their work visit website. March – GMC donated GBP 100 to The London Legal Support Trust Charity and The Royal Court of Justice Citizens Advise Bureau, in support of Lord Chief and his Private Office who participated in the 5th London Legal Sponsored Walk. The London Legal Support Trust supports the work of social welfare legal centres in London and the Home Countries. Funds raised are targeted to assist requests for help from the centres. Lear more about The London Legal Support Trust from their website. February – GMC donated GBP 200 towards Angus Lawson Memorial Trust, Chicks and Teenage Cancer Trust. Angus Lawson Memorial offers food, medical and survival remedial support followed by health care, educational and self-sufficient programmes. Visit The Angus Lawson Memorial Trust website for more information. Chicks’ provides total care and education for some of the neediest of India’s Children. For more information about their activity visit Chicks’Charity website. Teenage Cancer Trust helps building units in NHS hospitals specifically for teenagers with cancer, superior medical facilities, and provides all kind of support and help. For more information visit Teenage Cancer Trust website.